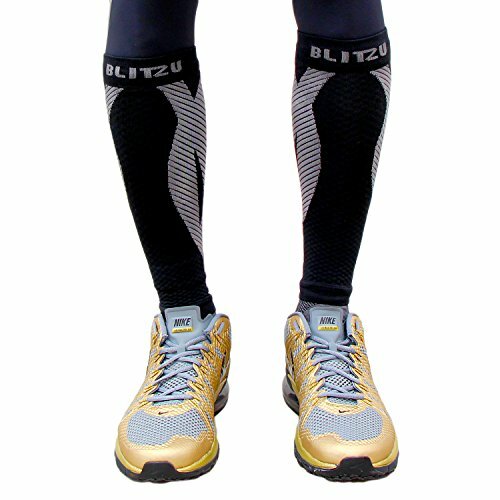 Calf Compression Sleeve (1 Pair) Blitzu Leg Performance Compression Socks for Shin Splint & Calf Pain Relief. 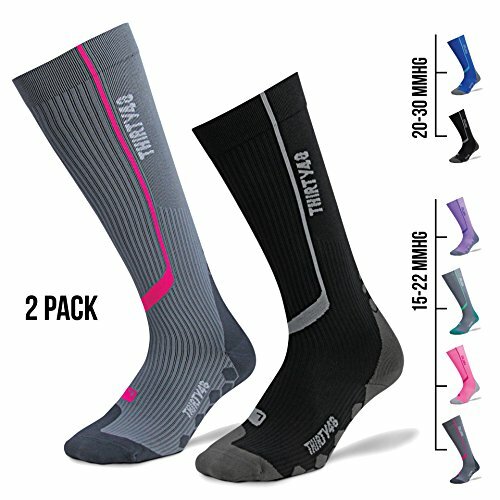 Men Women Runners Guards Sleeves for Running. 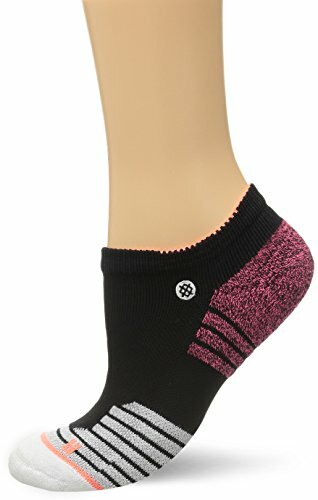 Improves Circulation and Recovery Black S/M ~ Fitness Socks ~ Roman Fitness Systems - Your health and fitness is an important aspect of your life! 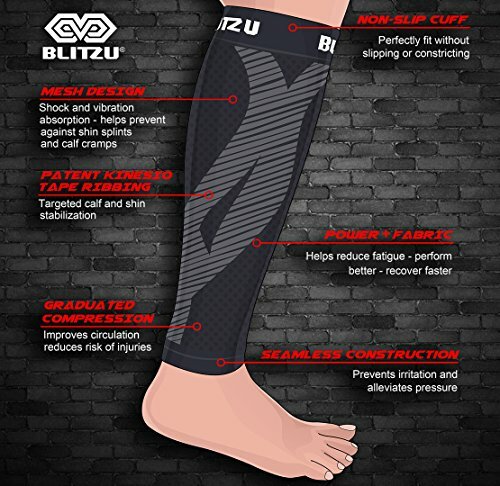 Advantages and benefits of wearing Blitzu® Compression Calf Sleeves: Hikers, Walkers, ramblers, runners and joggers - Spend your whole day walking and running without muscle strains, cramps, and fatigues. Outdoor enthusiasts and Athletes - Less muscle strain means you can train harder, feel stronger and perform better in the gym and on the field. Jobs that involve lots of standing - Bring more energy into your legs! 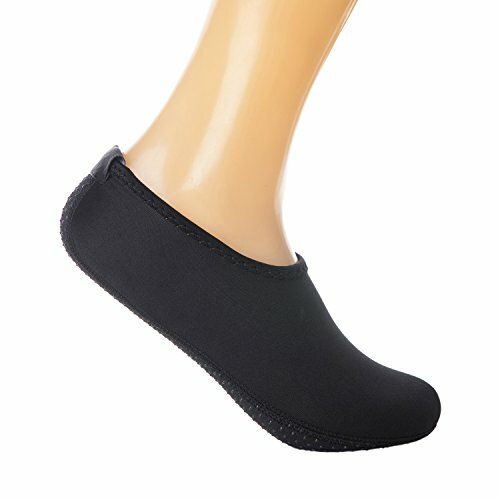 No more foot pain from standing all day long at work! 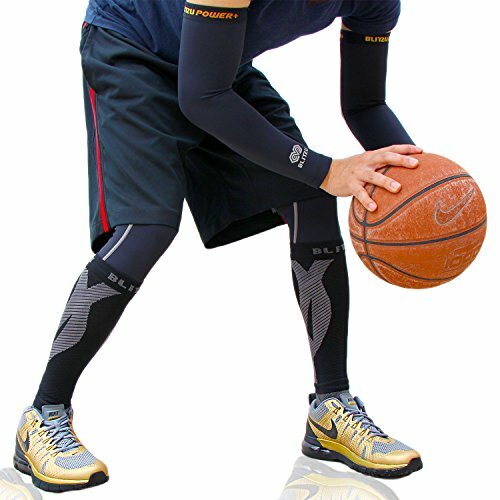 Air Travelers - Our Sleeves help reduce pain by improving blood flow in the legs. 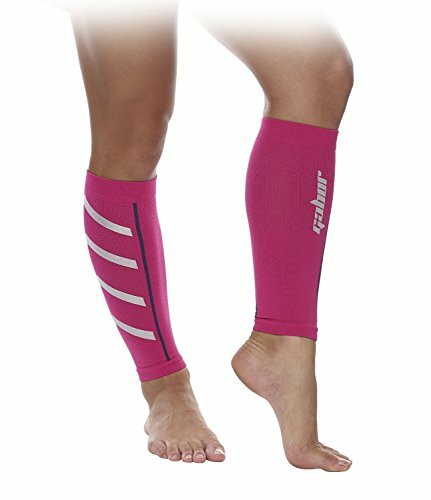 People with leg problems - Prevent and reduce symptoms of Shin Splints, Calf Cramps, and Pulled Muscles. 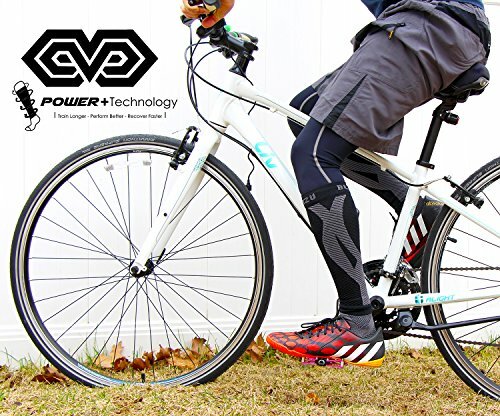 Features: AVOID INJURY: Improve blood circulation. 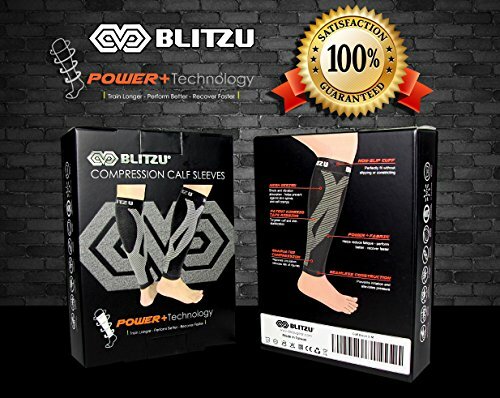 Prevent unnecessary injury and pain by offering optimal muscle support during everyday activities. 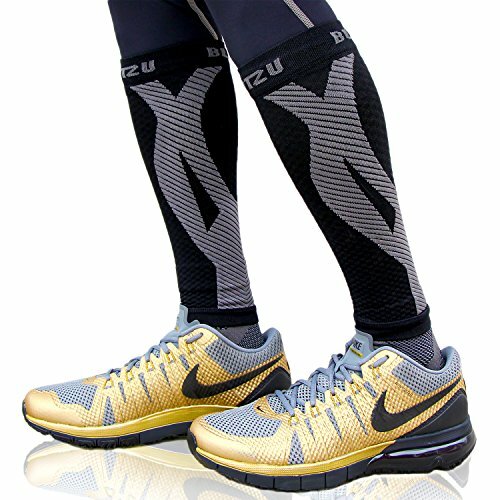 SPEED UP RECOVERY: The compression helps relieve muscle pain as well as aids in muscle recovery & rehabilitation. 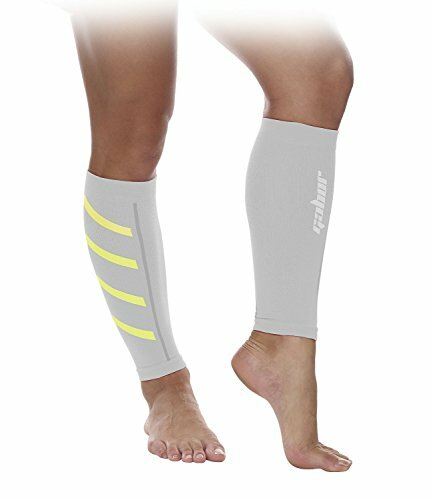 WARMING EFFECT: Support full motion flexibility and Warm up your calf effectively. 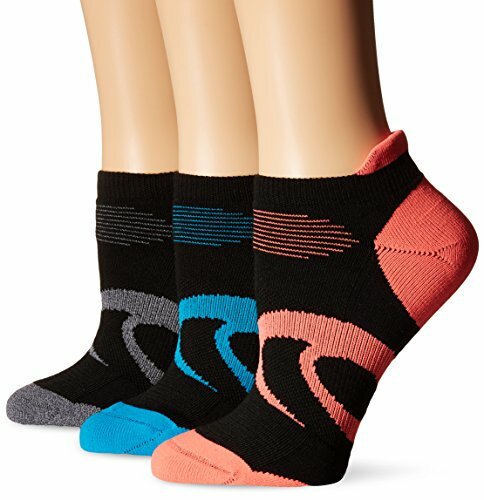 COMFORTABLE: Ergonomically designed for full range of motion and superior comfort. 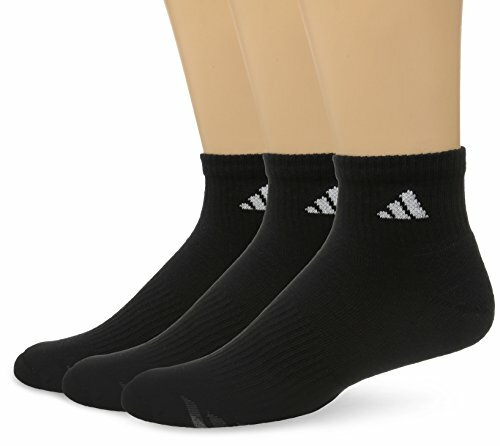 Size Chart Important! 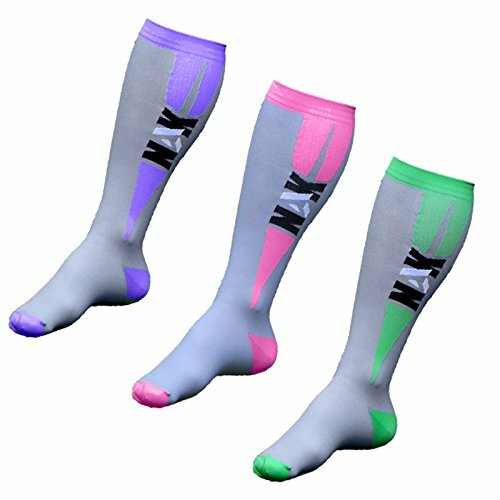 Measure the thickest, fullest part of your calf (circumference) to determine the size. 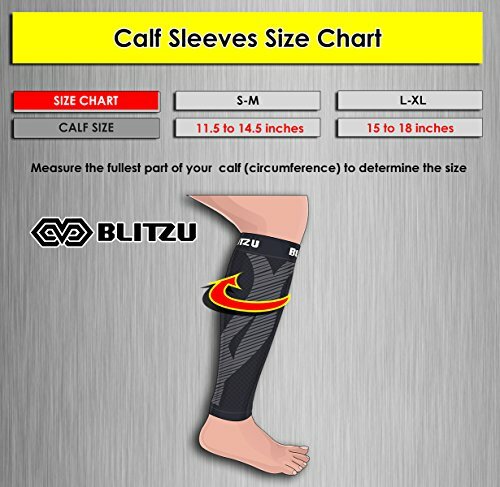 Calf Size Measurements S/M: 11.5" - 14.5" L/XL: 15" - 18" 100% SATISFACTION GUARANTEE Your satisfaction is our guarantee! If you aren't happy with your purchase for any reason, let us know and we'll refund your money back or send you a replacement! 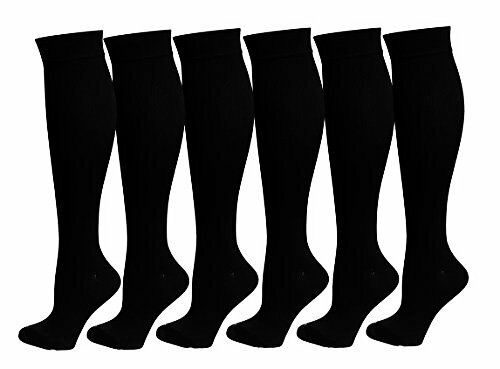 That is how confident we are that you will LOVE your calf sleeves. 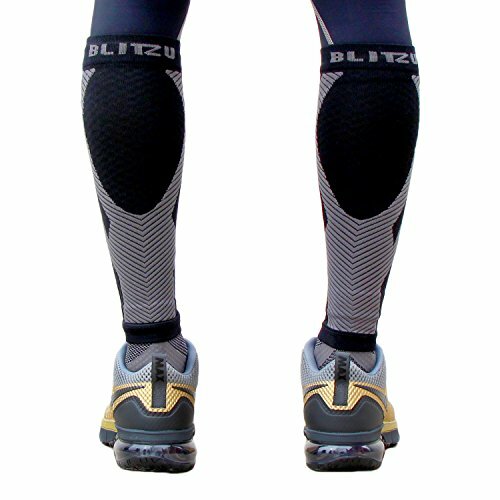 Click on the Add to Cart button, and have your Blitzu Calf Sleeves shipped today!